This product review that I'll be sharing today is kind of a gross nature but hey, let's be real. We do clean our ears for hygienic purposes right? I mean who doesn't? 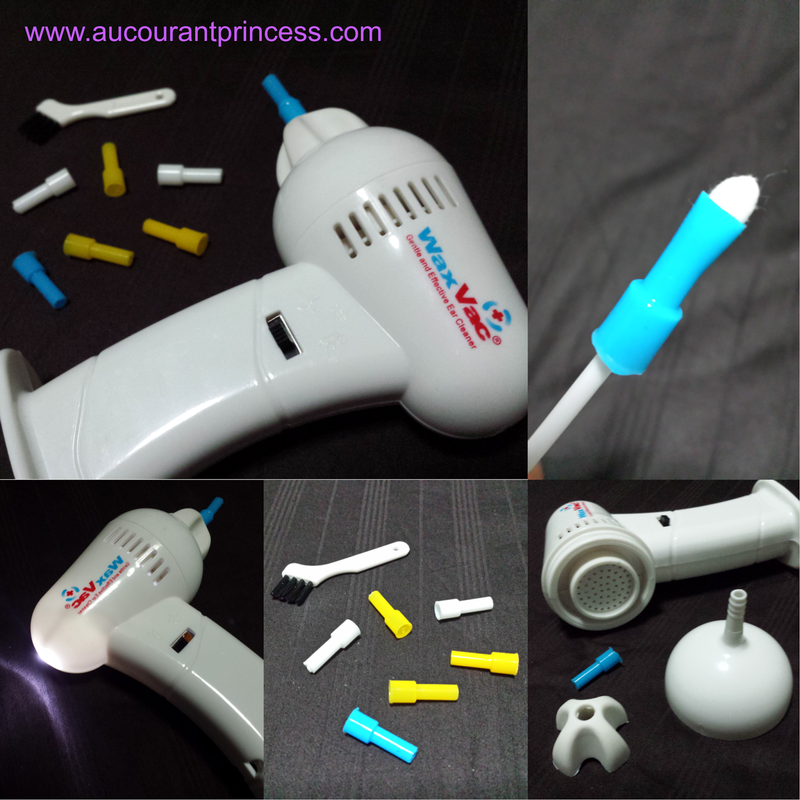 So here I'll be sharing about this earwax vacuum cleaner I bought on deal.com.sg. I find this earwax vacuum cleaner shaped just like a small hair dryer. It suctions out earwax from the ears. It has two ends: one end has an ear examining light which I find useless and the other end is the earwax suctioning part. Attach the silicon tip on the ear wax vacuum cleaner. Hold the ear wax vacuum cleaner to your ear canal in order to suction out the earwax. This video has instructions on how to clean the product but I also have another tip on how to thoroughly clean the silicon tip. This is to save it from prematurely dumping to the trash bin. I bought this product because I've been suffering from an itchy ear lately and I've read that this product purportedly helps aid the problem. Let's see from the pros and cons below on what I thought about this product..
Cheap. Bought it on a deal for $9.90 SGD. Somehow it manages to suction out earwax from the ears but it's not strong enough to pull out the debris entirely. This is because when I first use this product I did a q-tip follow up on my ears (because I'm curious to know if it does really work) and found out that there are still some debris left on my ears. Others suggested that it's best to use it after shower but I say there's not much difference. Does not help aid itchy ears. It gently suctions out the earwax from the ears, you can actually feel the air pressure when you place it on your ear canal, but I get annoyed with the buzzing sound it makes (don't worry it's not something that could impair your hearing). I find the ear examining light useless. I don't actually use it. I don't really find this product effective. I primarily thought that I did a lot of savings buying this product but it's not otherwise. I don't recommend this product. It's better to stick to what you've been use to doing when cleaning your ears. You can check out their promotional video here. The video also has instructions on how to use and how to clean the product. Will see the promo video! This really makes me curious! I heard these are great to be used on babiess.. but its such a fuss free solution to earbuds.!! Very interesting, I don't know this product!